Hospital and Specialty products, typically involve complex medicine and usage scenarios that can benefit from creative communication concepts during sales presentations. 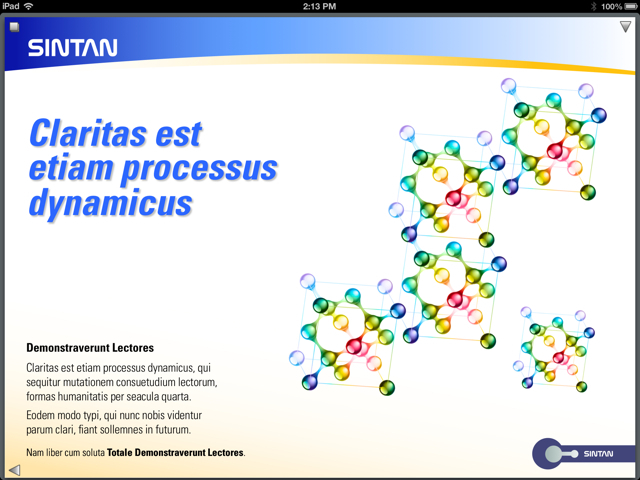 Sintan Presenter is a state-of-the-art presentation application, specifically modified for compliance with regulated environments, capable of executing presentations with intuitive navigation, enabling an interactive dialog with Healthcare Professionals. The home office back-end application, controls distribution of content across sales teams through a device based security model. Closed Loop Marketing (CLM) engages the marketing team and provides feedback on the message acceptance. 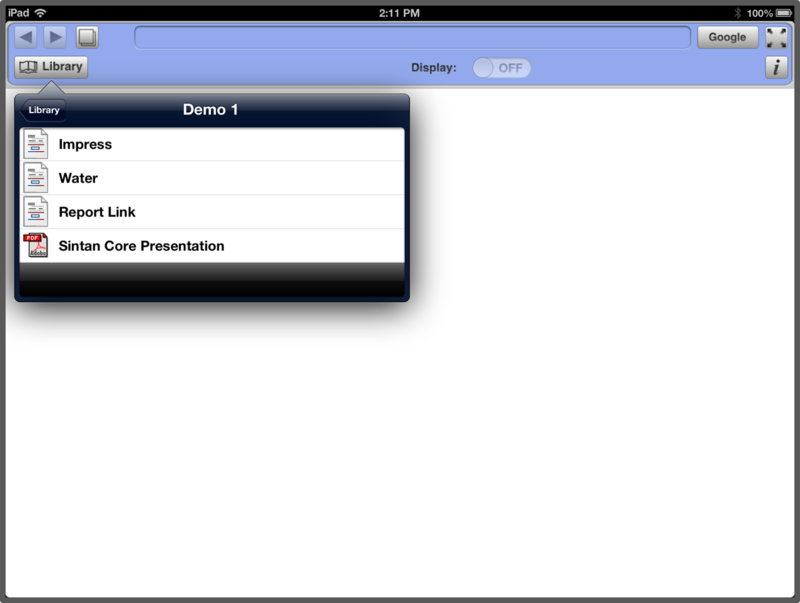 The tracking module records the presentation engagement and synchronizes it with CRM systems. 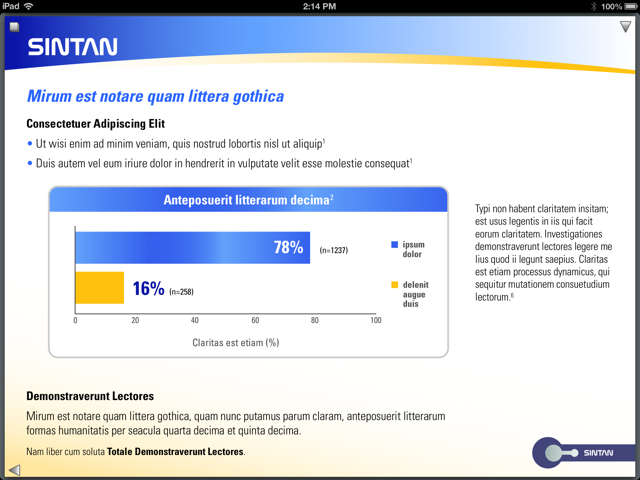 Intuitive navigation enabling interactive dialog with healthcare professionals. Specifically modified for compliance and regulated environments with presentation content ‘lockdown’ and tracking. Security controlled distribution of presentation content and updates across sales teams by home office. Message acceptance feedback and navigation tracking for Closed Loop Marketing.